AMMONNEWS - His Majesty King Abdullah II and Egyptian President Abdel Fattah al-Sisi held talks in New York on Tuesday during which the two leaders stressed that the two-state solution is the only way to achieve a just and lasting peace in the region. The two leaders affirmed the need to support the Palestinians to achieve their just and legitimate rights to establish their independent state on the lines of June 4, 1967 with East Jerusalem as its capital. The two leaders also stressed the need for the international community to shoulder its responsibilities to support the United Nations Relief and Works Agency (UNRWA) to enable it to continue providing its relief, education and health services. During the meeting, which was held on the sidelines of the 73rd session of the United Nations General Assembly, the two leaders stressed the importance of maintaining coordination and consultation between the two countries on various issues of mutual interest to serve pan-Arab interests. 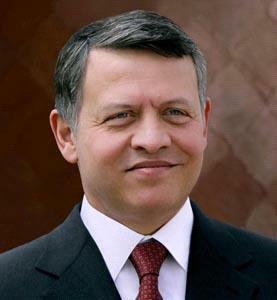 King Abdullah and the Egyptian President also underlined the strong relations between Jordan and Egypt, highlighting the need to expand joint cooperation in all fields. The meeting tackled the developments of the Syrian crisis, the efforts exerted to reach a political solution to it, as well as the war on terror, within a holistic strategy.